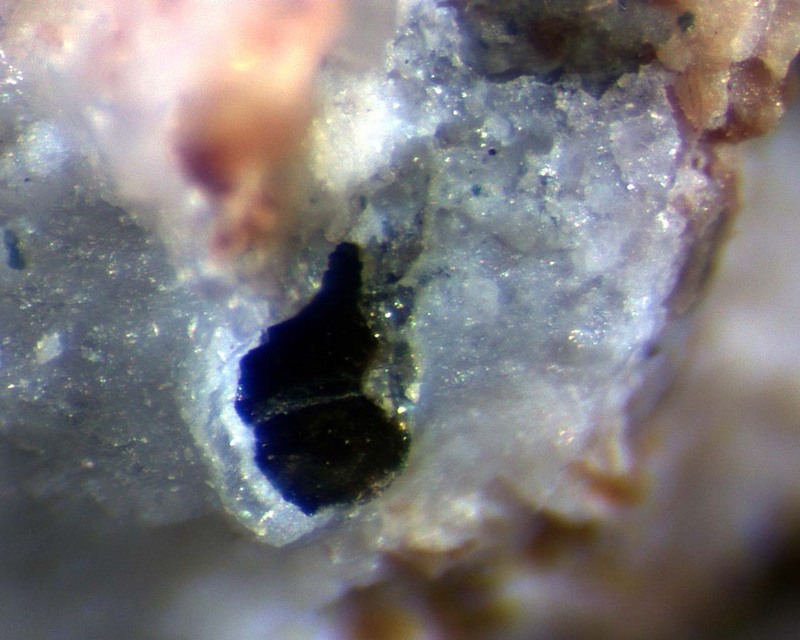 Mathiasite: Mineral information, data and localities. Named by S.E. Haggerty, J.R. Smyth, A.J. Erlank, R.S. Rickard, and R.V. 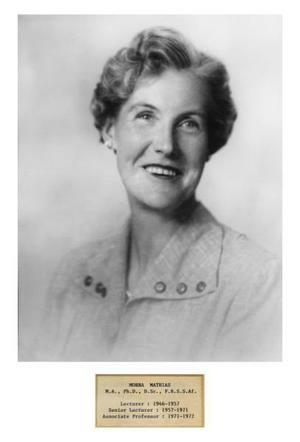 Danchin in 1983 in honor of Frances Celia Morna Mathias (20 May 1913, UK - ), petrologist and geochemist. She was a professor in the Department of Geology, University of Cape Town, South Africa. The name is in recognition of her work on alkaline rocks and mantle-derived eclogites and peridotites. Graph shows reflectance levels at different wavelengths (in nm). Top of box is 100%. Peak reflectance is 20.1–20.8%. Massive, homogeneous and polycrystalline aggregates to 0.5-5 cm. Many appear to be single crystals, sub-spherical in shape with dimpled surfaces and an outer matte luster. National Museum, Cape Town, South Africa. National Museum of Natural History, Washington, D.C., USA. Haggerty, S.E., Smyth, J.R., Erlank, A.J., Rickard, R.S., Danchin, R.V. (1983) Lindsleyite (Ba) and mathiasite (K): two new chromium-titanites in the crichtonite series from the upper mantle. American Mineralogist: 68: 494-505. Gatehouse, B.M., Grey, I.E., Smyth, J.R. (1983) Structure refinement of mathiasite, (K0.62Na0.14Ba0.14Sr0.10)Σ1.0[Ti12.90Cr3.10Mg1.53Fe2.15Zr0.67Ca0.29V0.36]Σ21.0O38. Acta Crystallographica: C39: 421-422. Foley, S., Höfer, H., Brey, G. (1994) High-pressure synthesis of priderite and members of the lindsleyite-mathiasite and hawthorneite-yimengite series. Contributions to Mineralogy and Petrology: 117(2): 164-174. Wülser, P.-A., Brugger, J., Meisser, N. (2004) The crichtonite group of minerals: a review of the classification. Bulletin de liaison de la Société Francaise de Minéralogie et Cristallographie: 16: 76-77. AM 73 (1988), 441; Qi Lu and Zhizhong Peng (1987): Crystal structure of Mathiasite. Acta Petrologica et Mineralogica 6(3), 221-229 (in Chinese with English abstract).